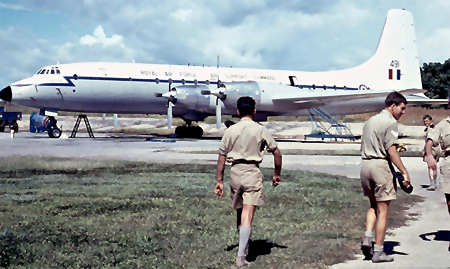 Built to contract 14293 and delivered to 511 Squadron Royal Air Force Transport Command at Lyneham on 06 July 1960, named ‘Procyon’ and serialled XM491. She operated within the Britannia pool at RAF Lyneham from 15 May 1961. XM491 was withdrawn from service by the RAF and was ferried to RAF St Athan on 09 June 1975 for storage following a flying career of 18 078 hours and 7717 landings. Purchased on 08 September 1975 by Aer Turas of Ireland and delivered to Luton Airport, she was given the registration EI-BBH and named ‘City of Cork’. She entered service with Aer Turas on 28 October 1975. 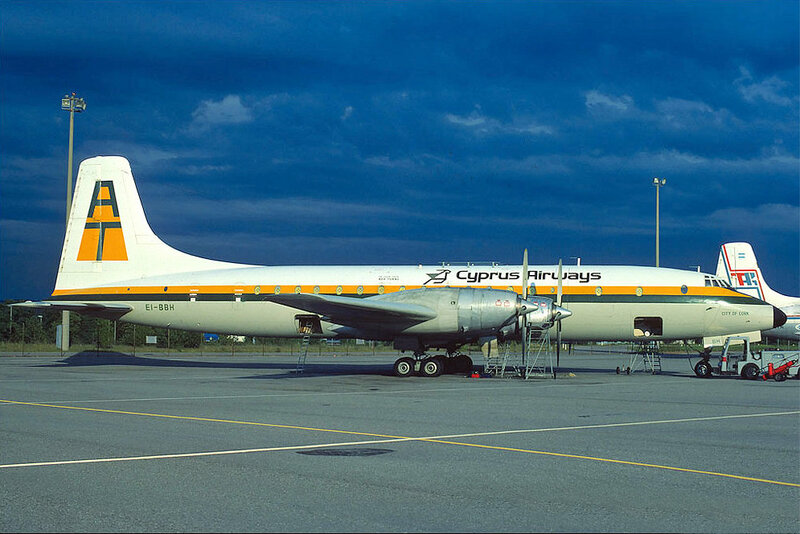 EI-BBH was then leased by Cyprus Airways on 09 September 1976 and returned to service again with Aer Turas on 12 April 1978. She was leased yet again in March 1979 for a period of two months to Gemini Air Transport, returning in May. EI-BBH was sold to Katale Aero Transport (Domaine de Katale) in November 1981 and registered 9Q-CMO in the name of Transair Cargo (a subsidiary of Katale). Withdrawn from service and broken up in Zaire by January 1992.